Biopics of popular Black entertainers and musical groups tend to be hit or miss. More often they’re miss without a whole lot of space in the redeeming qualities department. But, Lifetime’s “Whitney” biopic – which aired this past weekend – had some strong qualities despite the disappointments. Frankly, there were mixed reviews of the movie. Many were disappointed Lifetime didn’t work with the Houston family to secure the rights to Whitney’s music and work together on the script. Even more others were let down that the film lacked overall depth. I found there were strong and weak points worth noting. For me, the casting was completely on point. From Yaya Dacosta in the lead role to Clive Davis. It was apparent that likeness was important to the team behind the movie. Not only were the actors and actresses cast with impeccable precision, the costumes were spot-on. Haircuts and wigs were laid. Even the makeup hearkened back to the hyper-embellishment of the 80s and early-90s. When it comes to “looking the part,” the film gets high marks. The film is actress Angela Bassett’s directorial debut. And, while it had it’s rough points, it was clear that Bassett possesses true directorial skills. Some of the scenes were a bit heavy-handed and didactic. They played too much on the whole “well, this is the Whitney you thought you knew but…” framework. But, Bassett can’t be blamed for the story. In contrast, the performances she was able to pull from a cast of novice actors was quite impressive. There were some truly emotional moments (most delivered by the film’s lead) that gave some insight into the goals of the film. Overall, Bassett gets a win here. Honestly, I have been a die-hard fan of Deborah Cox since her 1995 small hits “Sentimental” and “Who Do You Love?” She has always been an underrated vocalist choosing to focus on her craft rather than sellout for pop stardom. Her delivery of Whitney’s iconic hits like “Every Woman” and “I Will Always Love You” left some viewers thinking it was actually Whitney’s voice they were hearing. Now, I heard Cox the entire time but that’s because I adore her. Her intonation was flawless and she left everything on the track. Her covers were by far a highlight of the film. If the film proved nothing else, it proved that Yaya Dacosta has to be taken seriously as an actress. She may have overacted all of the concert scenes but one can chalk that up to the difficulty of embodying Whitney Houston’s unique gait and iconic stage presence while lip syncing in a ginormous wig. I would imagine it is hard not to overact in that situation. But, Dacosta pulled it off. She gets high marks from me. Sadly, the storyline and script were the weakest points of the film. I had an issue with the constant drug use in the film. We all knew that drugs were present throughout Whitney Houston’s career and a root cause in her untimely death, but this film made her out to be an unstable addict who turned to drugs at even the slightest of professional or personal strife. One of the earliest scenes in the film is of Houston and her makeup compact full of cocaine. Instead of developing her story, we were left watching a broken woman who literally didn’t exist if not on stage or on drugs…or on Bobby Brown. 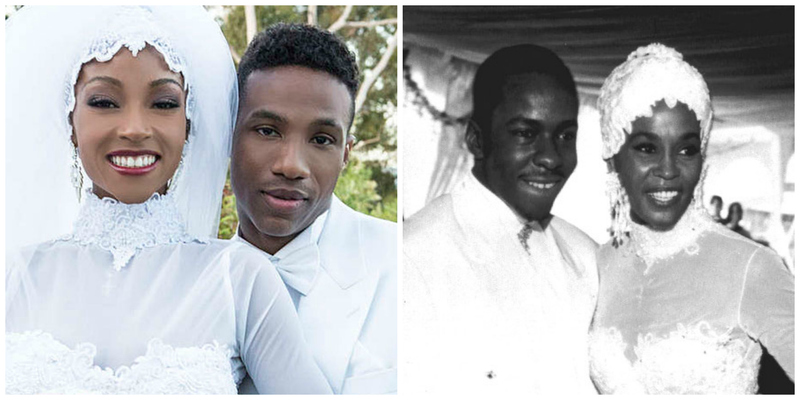 At times, Bobby Brown’s vernacular and vocabulary seemed less “My Perogative” and more “Please pass the Grey Poupon.” To add, the story seemed deeply invested in the nuances of Brown’s parenting choices and Whitney’s insatiable sexual appetite for him. He was written as a doting and loving father meanwhile he was shown to be a philanderer, alcoholic, and drug user. While some of the favorable things may be true, it just wasn’t a film about him and his love life. The number of scenes with Bobby Brown and no Whitney leaves one wondering what the film was actually supposed to be about. Lastly, the timing in the film made it seem like Whitney’s life ended at 30-years-old. 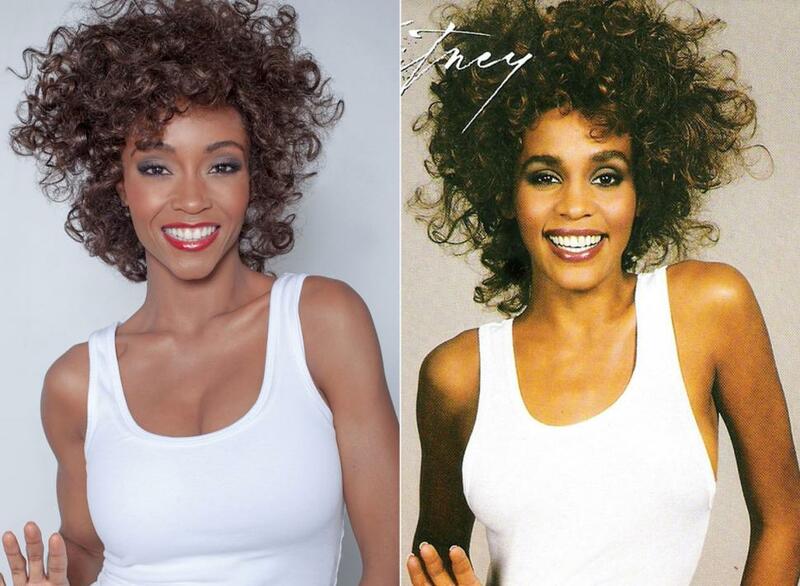 But, the truth is, Whitney was almost 50 at her death. She had been working on a comeback and had done some impressive things in acting like Waiting to Exhale and Sparkle. These life experiences were completely excluded from the film – a writing choice which seems odd because all of those events led up to her eventual death. Overall, I was most disappointed by this choice. The fact is: this biopic should have had a different name. It wasn’t really a Whitney Houston biopic so much as it was a videographical account of every tabloid story we ever read about Whitney and Bobby. It’s no wonder the Houston family wasn’t too keen on this “unauthorized” biopic. And Lifetime’s interview with Bobby Brown immediately following the movie’s airing proves there were ulterior motives for the network. Hopefully, this film isn’t the last attempt at telling Whitney Houston’s story. Lord knows that an individual of her talent deserves to honored and lauded rather than exploited.